TNT Tropa Run 2017 | JustRunLah! 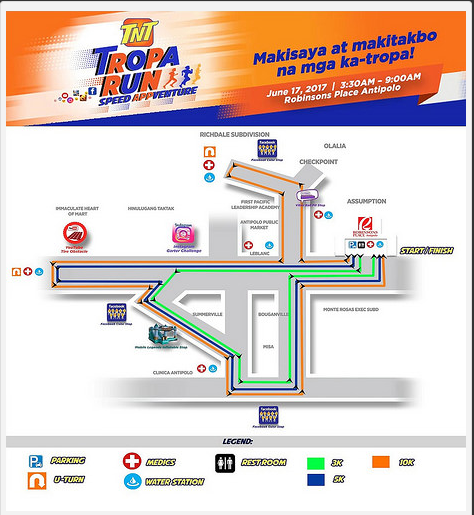 It’s time to lace up and run with the whole tropa as TNT mounts the first ever Tropa Speed Appventure at Robinsons Place Antipolo on June 17, Saturday. A race perfect for every tropa, the TNT Tropa Run Speed Appventure includes 3K, 5K, and 10K categories that feature fun obstacles inspired by today’s hottest tropa apps, such as Facebook, Instagram, Mobile Legends, Viber, and YouTube. The exciting race also features a Tropa Hub and surprise celebrities. The race is open to all for a minimal fee, and you can join by registering online at tntph.com/tropatrip. 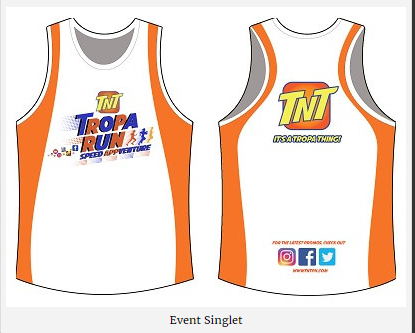 Every TNT Tropa Run Speed Appventure participant gets a race kit inclusive of a TNT Tropa Run Speed Appventure race singlet, bib and guide.